Dallas, TX – The mission of the Grand View University is to engage, equip, and empower their students to fulfill their individual potential, and serve society. They are committed to the development of the whole person – mind, body and spirit. Grand View University proved their vow to the Student Athletic department today by joining Vivature, and advance the University’s dedication to their student athletes. They have also turned over their Health Center billing to the Dallas-based billing company. The recent partnership will help Grand View University to stay firmly committed to their principles, while upgrading their Athletic Training Rooms with cutting-edge technology, and also generate new funds to be re-invested back into their Athletic Department. 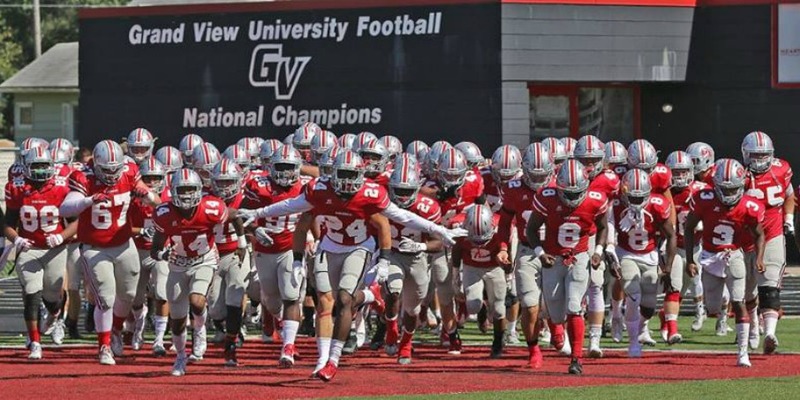 As proud Vikings, Grand View University’s Department of Athletics fields teams that compete in 23 intercollegiate sports including Wrestling, Volleyball and Shooting Sports. Grand View University is a member of the Heart of America Athletic Conference (HAAC) and participate in the National Association of Intercollegiate Athletics (NAIA). The Vikings become the 7th member of the HAAC to join Vivature. Vivature, based in Dallas, TX, has over 400 collegiate partners (220+ actively billing) utilizing a variety of services. They have recently been named Top 25 emerging Sports Technology Firm in sports. Operating a 20 million-dollar enterprise-level single database, Vivature’s clients use their NExTT 360 software to record injuries and treatments being conducted on student-athletes, as well as record and track their activities in Nutrition, Counseling, Academic Counseling and Strength & Conditioning. NExTT 360 is the first software in America that integrates an entire student-athlete cycle into one. Having a tool like NExTT 360 allows the University to protect themselves from liability, stay in compliance with all current laws and regulations, all without any change to their existing process, and without adding headcount or new expenses.